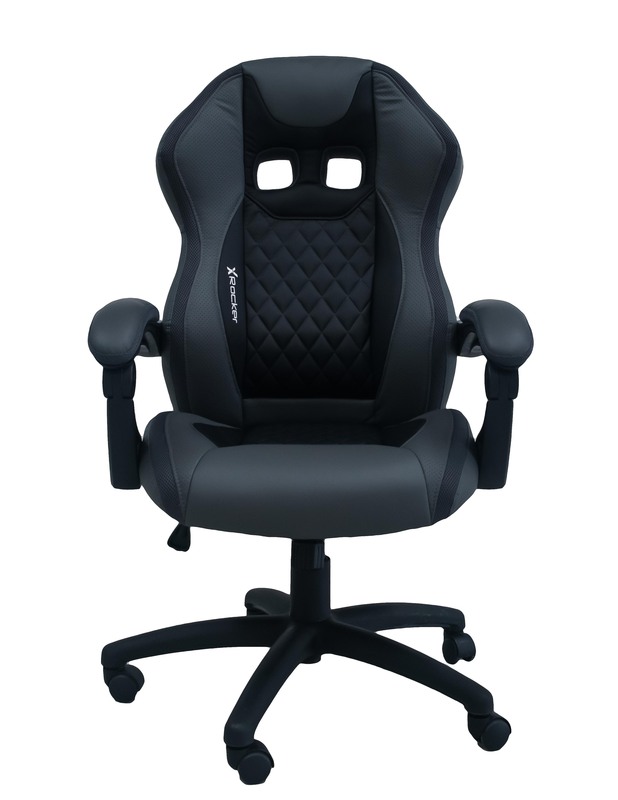 The X Rocker Paladin is a supremely comfortable office chair with stereo audio built into the headrest and a rechargeable Bluetooth control panel. The X Rocker Paladin is a stylish and versatile office chair. Featuring a stereo headrest mounted audio system and Bluetooth* Connectivity for an untethered audio experience. The chair is decked out in a grey faux leather material and sits on a height adjustable base for elevation and customisable comfort. Finished with an attractive quilted pattern on the backrest for extra style points. The X Rocker Paladin is compatible with most major gaming devices, including PS3, PS Vita, Xbox 360, Wii, Wii U, 3DS. The Paladin is also compatible with the PS4 and Xbox One by connecting to the RCA analogue audio outputs on your TV or headphone socket. An additional digital to analogue converter (sold separately) may be required if these sound outputs are unavailable on your TV. *Bluetooth connectivity is compatible with Bluetooth transmitting devices such as mobile phones, tablets and Bluetooth enabled PC’s. Please refer to manufacturers guidelines of chosen device to check for compatibility.